This event on the Sea of Galilee is directed to Jesus' disciples, while the feeding of the 5,000 was not only for His disciples but also for the crowd. Jesus' disciples trusted Jesus for the food, now they will have to trust Him in a storm. Jesus was not in the boat with His disciples when a storm came up that threatened their lives. Without Jesus, the disciples could not come against this fierce storm and save themselves. Jesus will come to save them as He came to earth to save all sinners from the darkness of sin and spiritual death. The disciples were in the midst of the sea in complete darkness fighting against a ferocious storm. These disciples were fishermen so they were well aware that the Sea of Galilee was prone to fierce storms. They saw that a storm might be coming up so they wanted to make it across the lake before the storm. In spite of this knowledge, these disciples obeyed Jesus' instruction to cross over the lake to the other side. While fighting the storm and trying to rescue themselves, they become exhausted. The power of the wind and waves was too strong for their strength. They are lost in the midst of the sea and darkness. They thought they were going to die! Jesus wasn't with them to rescue them. The Bible says that without Jesus, we can do nothing. Through this experience, Jesus is teaching them that they can KNOW that in any storm of life or darkness that may come against them, He “sees” them and will come to their rescue. He wants all who love and follow Him to understand this also. We can trust Him. Matthew 14:25 says that it was the fourth watch when Jesus came to his disciples walking on the water. The fourth watch is just before the break of dawn of a new day – between 3 am and 6 am. Just before the light of a new day, Jesus will come to save His disciples. There is an old saying that “it is always darkest before the dawn.” These disciples were surely in deep darkness and thought they were going to die. BUT Jesus, the Light of the world and Savior, will come at the right time to save them from the darkness and the strong wind that was blowing against them. (John 6:18) His disciples were in darkness and powerless without Jesus. They were way off course and lost. When Jesus came into the world as a newborn babe, the world was in darkness with no one to save humanity from the ruler of darkness. God's voice had been silent for over 400 years. In His time and with the depth of His love, God sent His Son into the world to save it from sin and the kingdom of darkness. God didn't send Jesus into the world to give us an “easy” life, but an eternal, holy life. Water in scripture symbolizes the Anointed Word. In other words, the water of the Word of God anointed by the living water of the Holy Spirit. Jesus is the Living Anointed Word of God from beginning to end. Jesus came to earth walking on the water of Truth -- the Anointed Word. He only did what the Father told Him to do and only spoke what the Father told Him to speak. He was completely submitted to His Father's will. The waters had to part for man – Moses and the Israelites, Joshua, Elijah and Elisha, but not for Jesus because He created the waters with the Godhead at Creation and is the bridge between the waters of heaven and the waters of earth. Job 9:8 says, "He (God) alone stretches out the heavens and treads upon the waves of the sea." Everything that Jesus did as He walked the earth was in fulfillment of some Older Testament scripture or scriptures. At creation God separated the waters of heaven and the waters of earth. “Let there be an expanse between the waters to separate water from water.” So God made the expanse and separated the water under the expanse from the water above it. And it was so. ”Genesis 1:6-7 Jesus, by His death and resurrection, bridged the expanse (gap/atmosphere) between the waters of heaven and earth for all who come to Him for salvation. When Jesus ascended to the Father, He paved a way for us to also bridge the gap between heaven and earth. Because Jesus is holy, He paved the "high" way of holiness to the throne of God. We can now come boldly to God's throne of grace because of the sacrificial blood of Jesus and the highway of holiness He provided for us. What is the spiritual message that Jesus is conveying in His walking on water in the darkness and storm? God answered this question for me! A few years ago, I was in a Church one Sunday and the man of God giving the sermon was preaching on Jesus and Peter walking on water. In his talk, this man of God said, “I'm glad God doesn't ask me to walk on water. How about you?” As clearly as if God was standing in front of me, the Lord said, “I do ask you to walk on water, Sandy. I ask you to walk on the water of My Word.” Jesus is the Anointed Word, so He also walks on the water of His Word. He walked on the Word wholly and perfectly. He wants those who love and follow Him to walk according to His Word with the help of the Holy Spirit. There are many winds that come against us: the wind of rejection or unforgiveness or unbelief, unfaithfulness, betrayal etc. When the storms of life come against us, we can trust Jesus and the mighty wind of the Holy Spirit so rescue us. We must walk on His Word of Truth and stand firm believing that He will come at His appointed time and save us from the storm. He sometimes comes to us at the greatest extremity of our trial when our faith is being tested to the max! Notice Jesus didn't prevent the trial. He used the trial to increase His disciples' faith and trust in Him, and show that they can trust Him in any circumstance. Jesus has taught His disciples through the Samaritan woman at the well that He is the giver of Living Water of life. (see Revelation 21:6; John 4) Next, He taught them through the feeding of the 5,000 that He is the multiplying Bread of Life sent down from heaven that feeds our spiritual hunger and thirst. His message to us is -- not only are we to eat and digest His Word (Bread), we are to walk according to His Word if we are to have the victory over darkness and the storms of life. The Word of God and the mighty wind of the Holy Spirit strengthen us. Jesus knew right where His disciples were and the circumstance they were in. He did not leave them or forsake them. Instead, He came and saved them when they were at the end of their own strength to rescue themselves and all hope seemed lost. Sometimes Jesus has to let us come to the end of ourselves and our own efforts so we will learn to trust Him and His timing. “When they had rowed three or three and a half miles, they saw Jesus approaching the boat, walking on the water, and they were terrified.” v19 At first, they thought they were seeing a ghost. Why? He was surrounded in His light and glory in the midst of the darkness. He looked like a ghost! They were terrified! In the midst of great darkness, Jesus is giving His own a revelation of His great light and glory and His saving grace. He gave His disciples the miracle of His presence! They saw Him in His glory and light and then they heard His voice. “It is I.” When God was speaking to the prophet Isaiah regarding His people knowing His Name, He said, “that I am He who speaks. Yes, it is I.” The King James version translates this as “I am.” (Greek eimi meaning to be or to exist) Jesus is telling His disciples that He is the I AM. Jesus identified Himself as the I AM eight times in the Gospel of John, once in Matthew and once in Revelation. He is all of these things. Jesus is the manifestation of God's glory. He didn't come in the flesh to seek His own glory, but the glory of the One who sent Him. He sends His own out into the world also not to seek our own glory but to glorify Christ in all we do and say. As He walked the earth, Jesus was the coming of God's glory to mankind. In the Older Testament, God's glory had no shape or form. 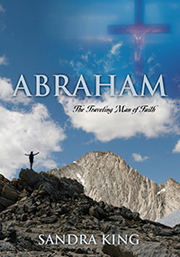 His shekinah glory appeared among men many times – before manna fell from heaven; before God gave Moses the ten commandments; when the tabernacle was completed according to God's instruction; when the temple was completed and dedicated to the Lord. Isaiah and Ezekiel saw the glory of the Lord in a vision of the heavenly temple. But in the New Testament, Jesus is the visible presence of God on earth. John and the other disciples saw His glory. When we look at Jesus, we see a “new” glory – one that walks, talks, lives and breathes! He is the tabernacle and temple of God not made with human hands. The glory that Jesus has is transmitted to those who love and serve Him. What God did for Jesus and Jesus did for God, Jesus does for us! Jesus' disciples are in deep darkness and threatened with death. The headwinds have come against them. There will be headwinds that come against believers also opposing our path. But Jesus will come at the right time to rescue us. We must not fear but have faith that Jesus sees us and will rescue us at the appropriate time. He wants us to believe His Word, stand our ground, hold our course and pray. Fear is the opposite of faith. This is why both God and Jesus told their own not to fear but have faith in them. Without Jesus in the boat, His disciples were losing the battle. When every human effort to save themselves failed, Jesus came and got into the boat with His disciples. The storm calmed. The very things that came against His disciples – wind and water – Jesus walked on! They were under His feet! It is sometimes in the storms of life that we draw closer to Jesus and He to us. He wants us to walk on the water of His Word by the power of the wind of the Holy Spirit through the storms of life. In so doing, the storm will calm as we trust in Jesus and His Word. At His perfect timing, He will come and rescue us. The disciples' fear blinded them to Jesus' identity. He looked different than they had ever seen Him. He was surrounded by light and glory looking almost like a ghost. It wasn't until He spoke His Word and revealed Himself that they recognized Him. Fear will often blind us to the presence of God in the midst of our storm. God said through the prophet Isaiah, “Fear not, for I have redeemed you; I have summoned you by name; you are mine. When you pass through the waters, I will be with you; when you pass through the rivers, they will not sweep over you.” 43:1-2 This is God's promise to His own.